For men experiencing abusive behaviour in their intimate relationship, it can be complex, confusing and difficult to understand. People in varied professional roles, but most often in the health or counselling professions, are those most likely to be sought out by men experiencing violence or abuse in their intimate relationship. Their options to address this part of their lives can at first seem limited, particularly when the behaviour has been longstanding or where there are others involved such as children or other family members. 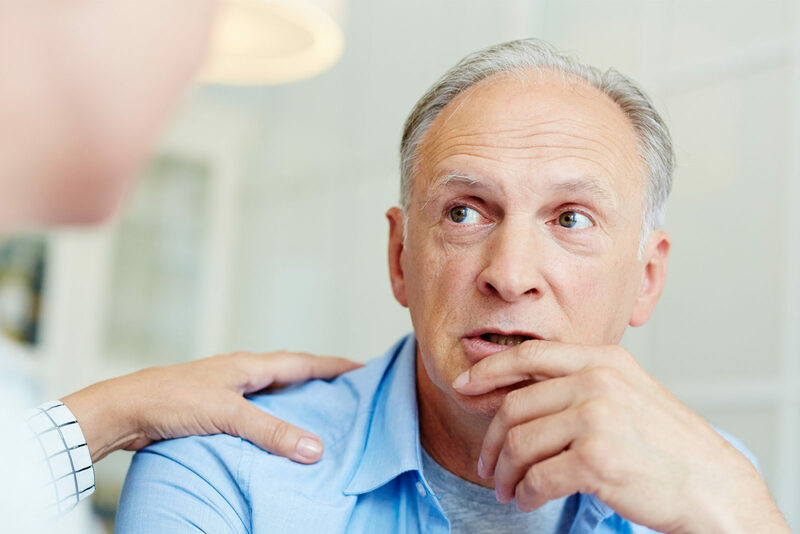 Men in this situation may perceive their problems as caused by weakness or not being able to stand up for themselves – which is not the case – and may be hesitant about trusting someone else with their problem. But often these men do approach someone they trust or have an existing professional relationship with to ‘sound them out’. Alternatively, you might already have some concerns that they are experiencing violence or abuse in their relationship. Whatever the starting point of your conversation, you can play an important part in assisting men experiencing violence or abuse in their intimate relationship and start the process with them of addressing and resolving their situation. Guiding and supporting their recovery and exploring strategies for managing their relationships. Suggest in conversation that the there is something worrying in his intimate relationship. Do you feel that you are being unreasonably controlled by the other person? Immediately consider the safety and potential risk to the man or other members of his family. Managing risk is essential where there are elements of physical violence, abuse or neglect. Where the issue of safety is not clear or not resolved, you must meet your professional obligations by acting to ensure that all parties are safe or will be made safe. If this is not possible through your actions alone, you must follow any reporting requirements inherent in your registration obligations and/or articulated through your professional body. Consider consulting with a colleague or professional supervisor outlining the situation and their recommendations for managing the issue of safety and ongoing professional contact with the man. What does the man stand to lose or gain through addressing this behaviour in their intimate relationship? Outside observers can often mistake a poor functioning, unhappy or unequal intimate relationship for one where there are elements of violence or abuse. Is the issue more about the general quality of the relationship in the absence of firm evidence showing violent or abusive behaviours? If so, the focus of your contact will be more about options, strategies and referrals for addressing these relationship issues. Be clear that it is not uncommon for men to experience domestic violence, they are not alone, and they are not responsible for the abuse. Talk about responsibilities and obligations by all parties in a relationship and the rights that individuals have by the conventions of society and by law. No matter what has happened to them in the past, they have choices as to how they react in a responsible manner to this behaviour and how they exercise their rights in their relationships. This may involve a gradual and monitored approach to address the behaviour in the relationship rather than immediate action. Otherwise, additional expert advice by referral to a family relationships specialist or a consultant more experienced in addressing matters of abuse in intimate relationships may be appropriate – and you can assist and encourage the man to prepare for further discussion with another professional. Initially the man may only have the strength and capacity to move slowly in addressing a long-standing and debilitating situation. You may focus on rebuilding their ability to manage and make decisions about their options in their relationship and their realistic long-term goal. Where possible and safe, it may be important to ensure the man gains a better understanding of the implications of any decisions he makes about his relationship – fundamentally, whether he will remain or leave – and the issues that flow from these major life decisions.